DENVER, Colo., Feb. 19, 2015—The Colorado Department of Transportation (CDOT) Transportation Commission today decided to move forward with a Design Build Finance Operate Maintain (DBFOM) method for the finance and delivery of the I-70 East project from I-25 to Denver International Airport. 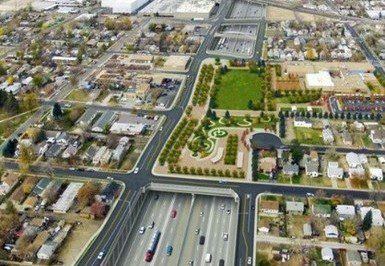 CDOT engaged the public and stakeholders to discuss how this project should be delivered. The Transportation Commission held a public workshop on the findings of the Value for Money analysis, which compares the risks and affordability of Design Build, Design Build Operation Maintain (DBOM) and DBFOM delivery models, on February 5, 2015. The main conclusions of the I-70 East Value for Money analysis are that the I-70 East Corridor project is not affordable under a Design Build model, but can be afforded under both the DBOM and DBFOM models. The Commission selected the DBFOM method of delivery because of its ability to transfer more risk to the private sector in several key areas including the long-term costs of maintaining the corridor. In this model, the concessionaire is given annual performance payments and must meet strict operations and maintenance standards. CDOT will now begin engaging industry and develop a financing plan for the first phase of the project as required to complete the Record of Decision, which completes the environmental study process. Additionally, CDOT will continue to seek public input through this process. For more information, visit www.coloradohpte.com andwww.codot.gov/projects/i70east and for more information on the environmental study, visit www.I-70east.com.